(Feb 20): Russia overtook Saudi Arabia as the world’s largest crude producer in December, when both countries started restricting supplies ahead of agreed cuts with other global producers to curb the worst glut in decades. Russia pumped 10.49 million barrels a day in December, down 29,000 barrels a day from November, while Saudi Arabia’s output declined to 10.46 million barrels a day from 10.72 million barrels a day in November, according to data published Monday on the website of the Joint Organisations Data Initiative in Riyadh. That was the first time Russia beat Saudi Arabia since March. Saudi Arabia and fellow producers from the Organization of Petroleum Exporting Countries decided at the end of November to restrict supplies by 1.2 million barrels a day for six months starting Jan 1, with Saudi Arabia instrumental in the plan. Non-member producers, including Russia, pledged additional curbs. 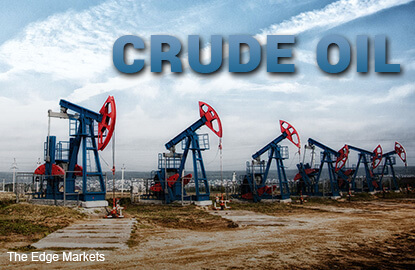 Brent crude prices have climbed about 20 percent since the end of November. The US was the third-largest producer, at 8.8 million barrels a day in December compared with 8.9 million barrels a day in November, according to JODI. Saudi Arabia’s crude exports declined to 8 million barrels a day in December, from 8.26 million barrels a day, the biggest outflow for any month since May 2003, according to JODI data.